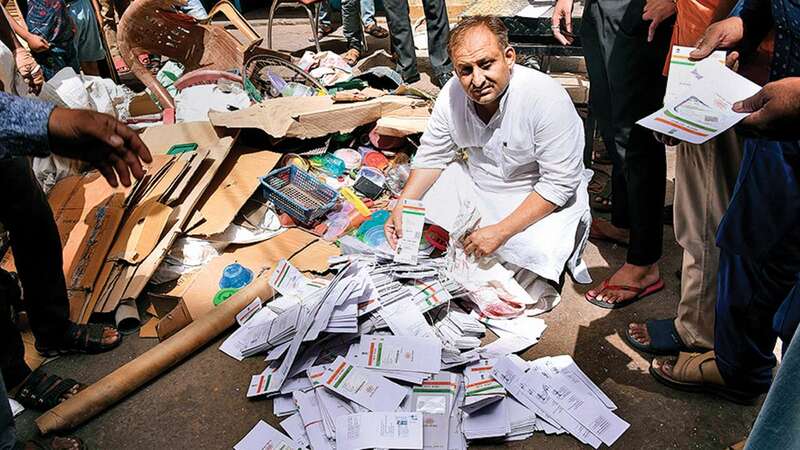 4000-5000 Aadhaar cards found at scrap shop in Jaipur - Aadhaar FAIL! Children spotted a bag with a lot of Aadhaar cards at a scrap dealer’s shop in Jaipur, and informed the local councillor, reports DNA. Upon investigating, it was found that an unidentified man had sold them to the scrap dealer (for the weight of the paper they were printed on!). On calling the phone numbers on the card, it was found (unsurprisingly) that the Aadhaar holders had not received their cards. 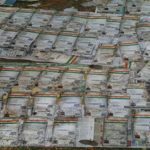 Aadhaar cards landing up with scrap dealers in bulk should be seen as a message from the cosmos to the irresponsible UIDAI. Children spot a heap of Aadhaar cards and see that there is a problem, but the incompetent authority entrusted with securing them relies on rules and punishments to conceal design flaws in a catastrophic project. 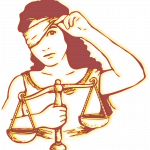 Note that this means that criminals can acquire Aadhaar data to exploit in addition to the original recipients not being able to access essential services – this lack of security is a constant feature of Aadhaar. This is also highly predictable. For example these sarcastic tweets this author had made in the past. Will be my special branding. 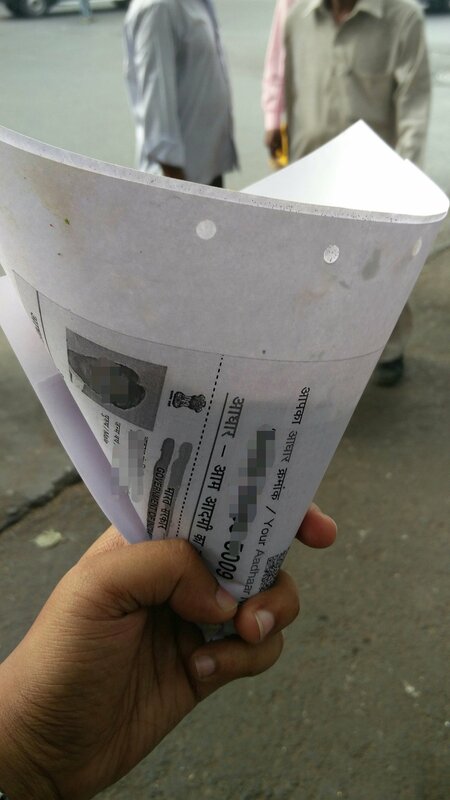 Bhelpuri, peanuts, etc sold in Aadhaar photocopies…..
Aadhaar cards have been found in various places in the past, including dumped into a well in Yavatmal, lying undelivered in post offices and copies of Aadhaar being used to sell bhel. Aadhaar for illegal kidney sales! Next post: Hello Mr. Aadhaar you have altered all the rules!